Business summary: Rose Hills Memorial Park & Mortuaries provide comprehensive memorial care to Los Angeles County and Orange County families. Turner & Stevens Live Oak Memorial Park & Mortuary has built a solid tradition of service. For more than a century, the professional, experienced and dedicated staff at Live Oak has provided exceptional, compassionate care to families at a difficult time in their lives. We are proud to provide families with complete services by offering cemetery and mortuary services in one convenient location. 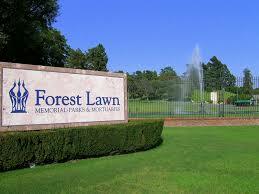 We offer traditional ground burial, mausoleum entombment, lawn crypts, columbarium and cremation niches. We are also proud to be one of the only parks that offers upright monuments. Since 1906, more families have chosen to come to us for their funeral and cremation needs than any other provider in Southern California. The reason is simple. We provide a more personal type of attention, a more professional level of service, and a wider range of price options. Give us a call or drop by at any time and we’d be happy to show you how a little bit of planning can make a big difference.